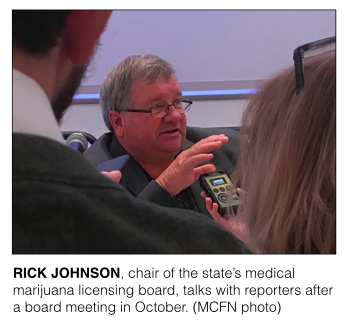 A new collaborative project by MLive Media Group and the Michigan Campaign Finance Network examines Michigan’s efforts to create rules for a developing medical marijuana industry that’s been valued at more than $800 million. One examines lobbyists’ work to weigh in on the new regulations as state officials try to craft them. You can read it by following this link. The other looks at the chair of the state board that will decide who gets licenses to be part of the new industry and his connections to those who may seek licenses. You can read it by following this link.